To the role model of our department belongs the promotion of scientific exchange and world openness. In the same spirit, it is for us just as important to welcome and well care for international students. We support stays of our students abroad, in particular through our extended number of exchange programs with worldwide renowned universities, and we receive each year an increasing number of exchange students as well as international Master students. A great opportunity for TUM physics students to get in contact with international exchange students is through the fellow program of the Physics Department. To look after an exchange student makes you aware of the experience and gives you extra points when applying yourself for an exchange program to go abroad! Every year in May all our international students as well as former outgoing exchange students represent their home and guest countries, respectively, at the International Day. This colorful exhibition takes place in the Magistrale (big entrance hall) of the Maths/Info building. 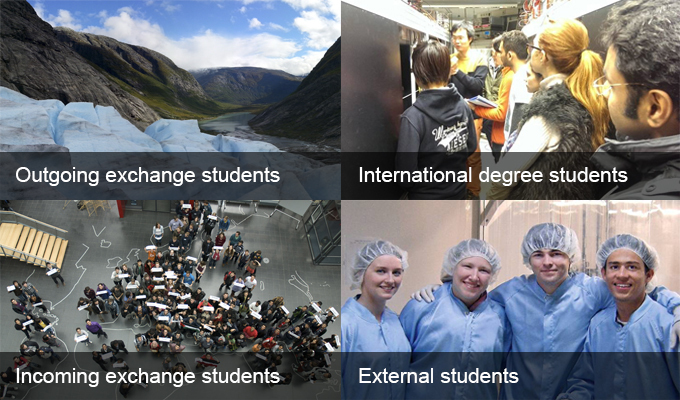 You can interact there with your fellow students and chat about countries, cultures and exchange destinations. All TUM members are welcome!!! This is a joint project from the faculties of Infomatics, Mathematics and Physics. As a competitive, international university, TUM is committed to attracting the brightest talent from across the globe, forging alliances with leading universities and companies and maintaining its alumni network. TUM is interested in talent and passion for the sciences – and not where its scientists and students come from.